ExecutiveBiz is pleased to name Dale Jones, President and Chief Executive Officer of Diversified Search, as a recipient of its 2017 Top 10 GovCon Executive Recruiters Award. Dale E. Jones is the President and Chief Executive Officer of Diversified Search. His responsibilities include oversight and management of the firm and its global CEO Advisory Services. A native of Dallas, Jones was the son of a shoe cobbler/janitor and a kindergarten teacher; beginning at age 10, young Dale would often join his dad and brother on weekends cleaning office buildings. Advised by a family pastor and influenced by the fact that the Rev. Dr. Martin Luther King had attended there, Jones enrolled at Atlanta’s Morehouse College. He began his career in banking, before moving into executive search as a managing partner in the Atlanta office of Heidrick & Struggles International in 1999. Always looking for ways to give back, Jones took a hiatus from the search industry in 2007, relocating to Washington, D.C. to lead a philanthropic foundation, endowed by AOL founder Steve Case and his wife, Jean, that was dedicated to finding clean water in Africa. Jones returned to executive search in 2009, rejoining Heidrick & Struggles to serve as Vice Chairman and Partner of the CEO and Board Practice, where he consulted CEOs and corporate boards on human capital issues including recruiting, retention, succession planning, and corporate governance. He also served as one of the firm’s leaders in the Global Communications and Global Consumer Practice, and was later asked to oversee the CEO and Board Practice in the Americas. 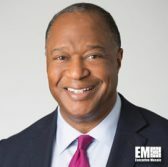 Jones is a member of several notable national corporate and philanthropic boards, most notably those of Northwestern Mutual, Kohl’s Inc., Princeton Theological Seminary, and his alma mater, Morehouse College. He formerly served as National Advisory Board Vice Chairman for The Salvation Army.